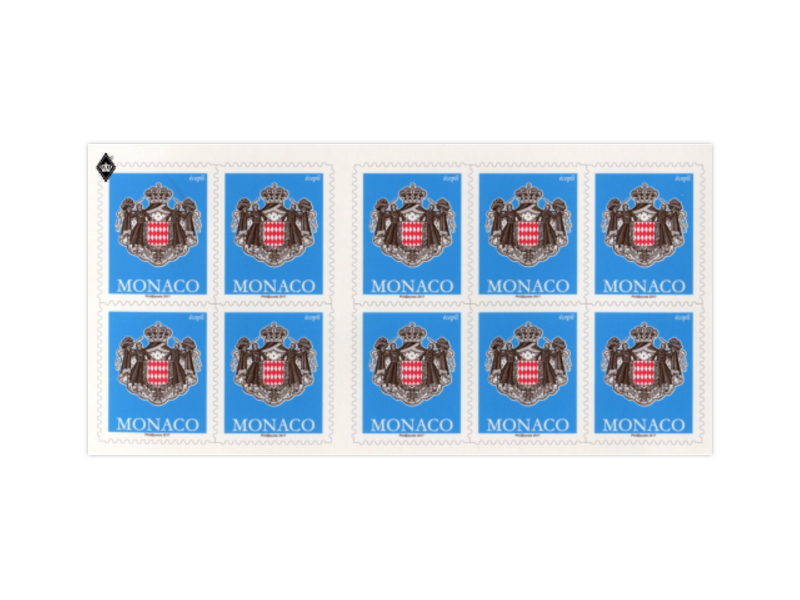 This booklet is composed of 10 indivisible self adhesive stamps with a permanent unit value corresponding to the postage price of a 20 gram letter for Monaco and France (second class postage rate). Usable by multiples beyond 20 grams. It replaces the blue booklet issued on 20th April 2012.